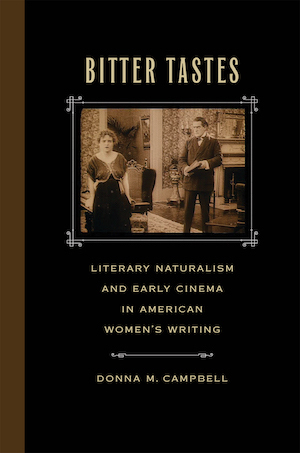 Bitter Tastes: Literary Naturalism and Early Cinema in American Women’s Writing. University of Georgia Press, 2016. Resisting Regionalism: Gender and Naturalism in American Fiction, 1885-1915. Athens: Ohio University Press, 1997. Northeastern Modern Language Association-Ohio University Press Book Award, 1995. Reviewed in American Literary Scholarship 1997 (Duke), Legacy, Modern Fiction Studies, American Literary Realism, Amerikastudien/American Studies, The Edith Wharton Review, Choice, and Studies in the Novel. Authored. Refereed. “Dreiser, London, Crane, and the Iron Madonna.” Reprinted in American Literary Naturalism. Ed. Harold Bloom. New York: Chelsea House, 2004.